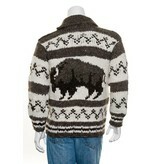 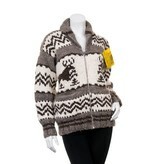 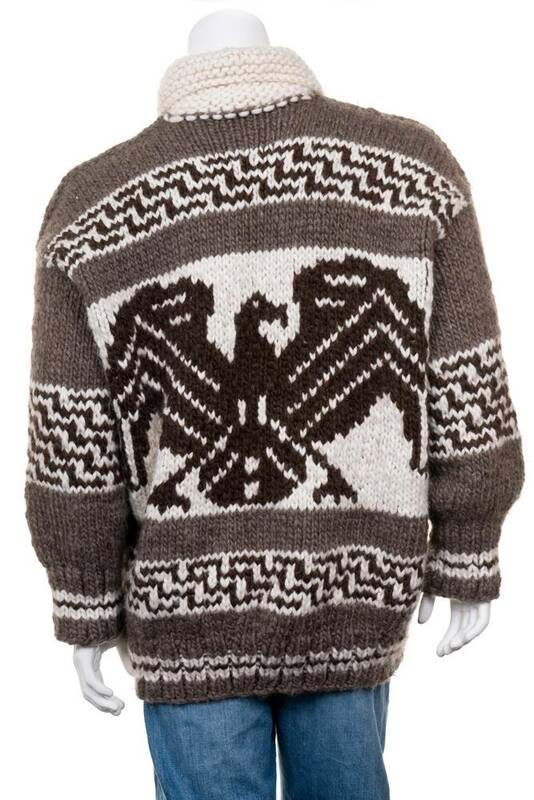 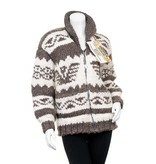 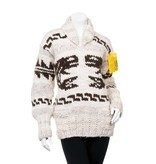 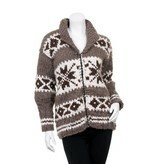 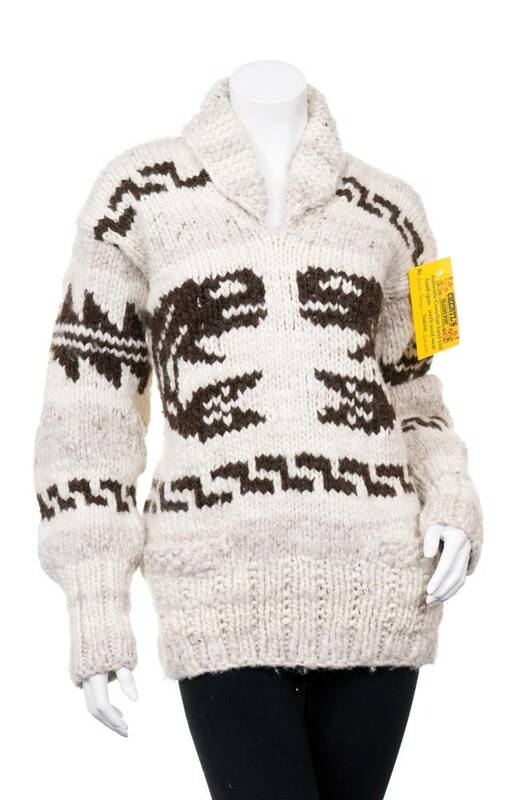 These sweaters are individual, one of a kind, and do not match with standard sizes. 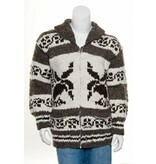 Call Cheryl at 778-886-5090 with the measurements desired to see what designs we have in stock. 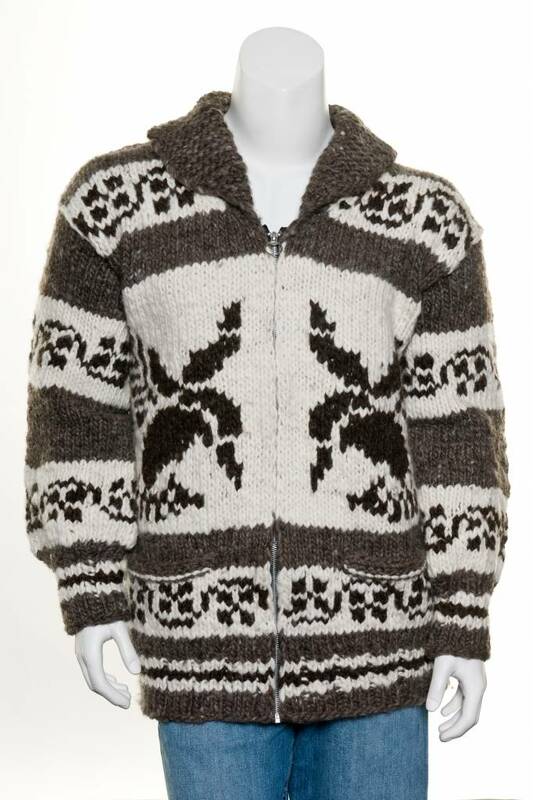 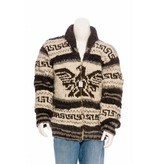 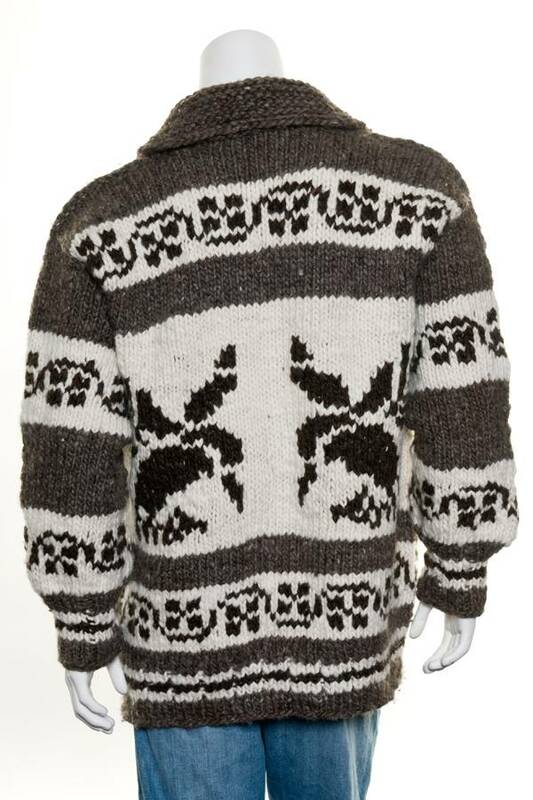 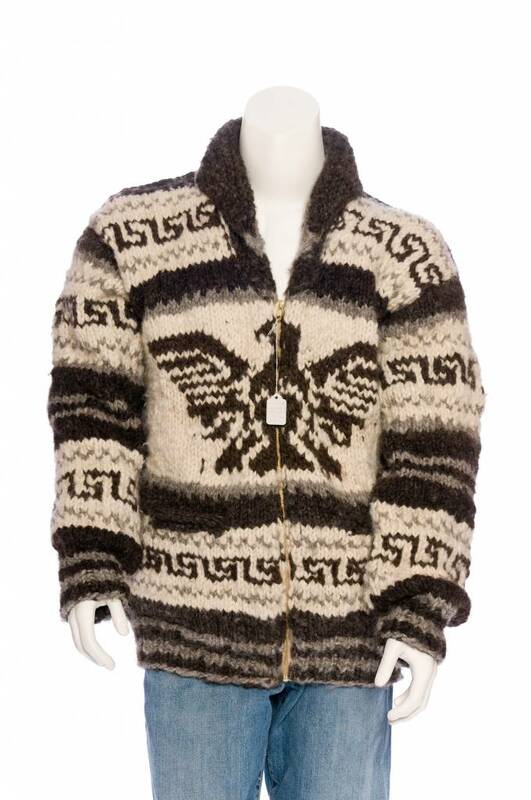 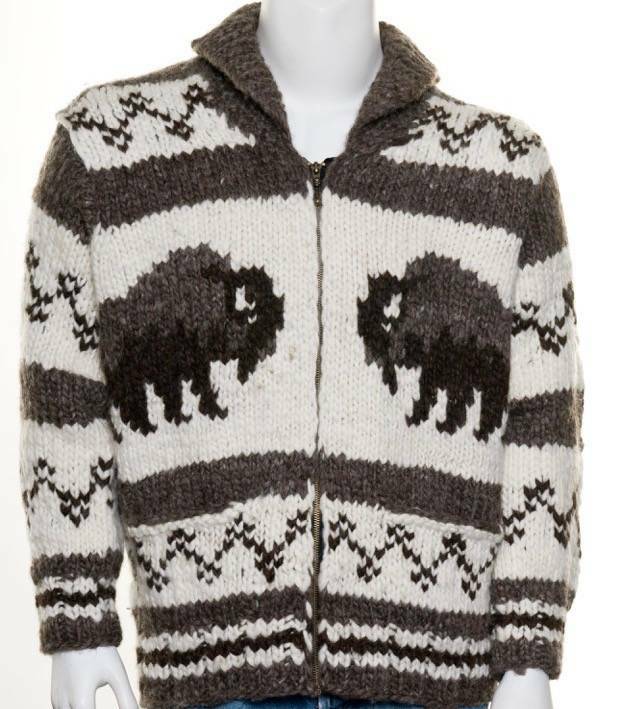 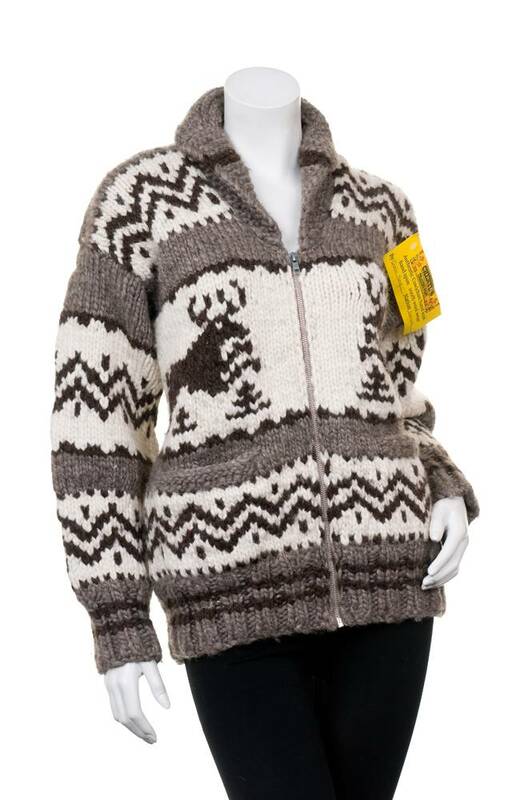 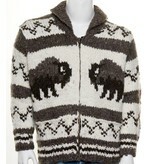 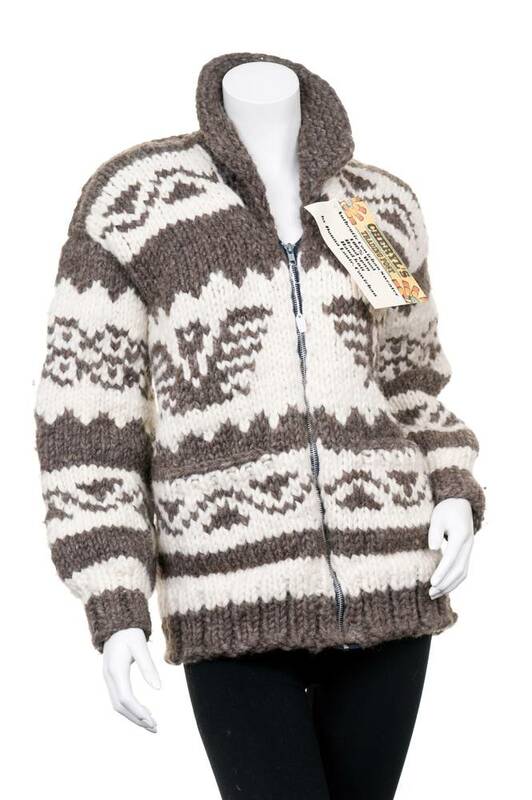 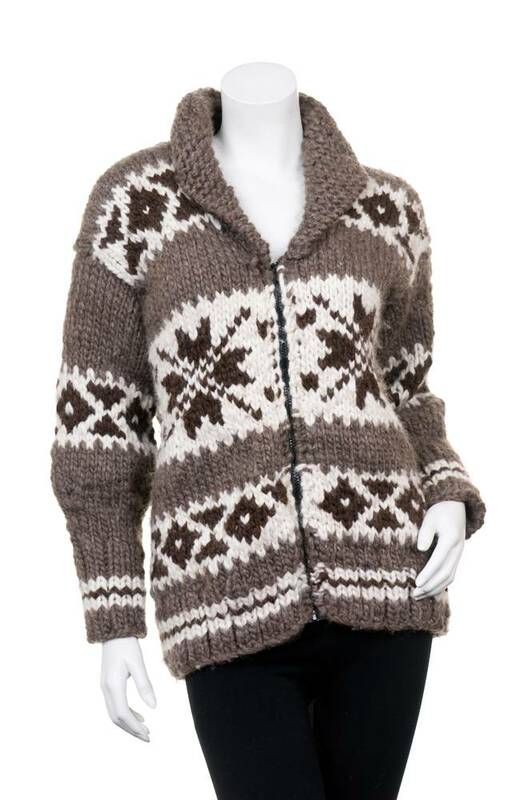 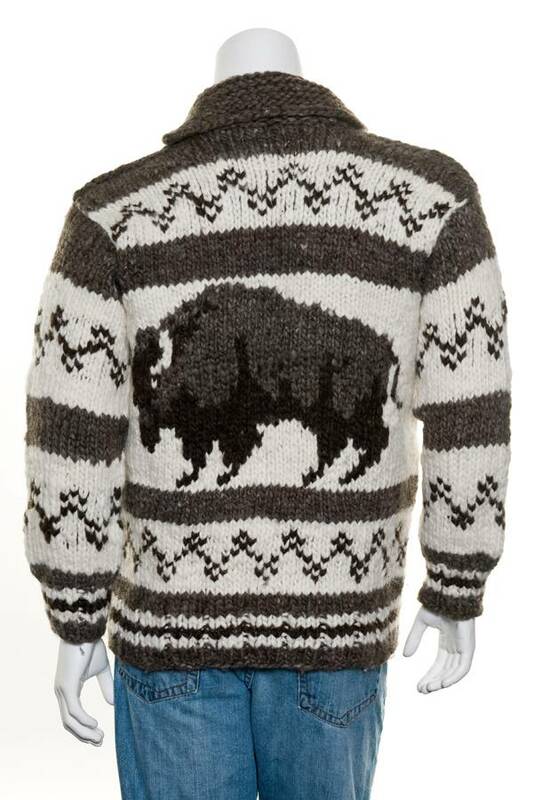 These sweaters are hand knit by Cowichan Band members on Vancouver Island. 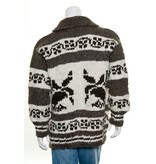 Made from natural, hand spun sheeps wool. 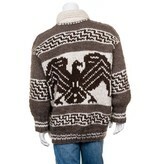 The most common designs are Eagle, Thunderbird, Orca Whale, Wolf, Deer, and Geometric.